Home » Growing » Lavender Twist Weeping Redbud Trees, only $25.00 each! Lavender Twist Weeping Redbud Tree. This is a rare find! In garden centers around here these tree seems to start at $199.00! But right now, and I’m sure they won’t last, One of Our Members is Selling them in the Members Area for $25.00 each. I actually got a chance to see the trees that she is selling last weekend. They are at least 5 feet tall, maybe 6 feet. Very lightly branched, but they do grow fast and I’m sure they’ll explode this spring. That’s a true wholesale price! I’m going to nose around and see what else the members are selling right now, today . . .
Those are just a few of the things listed in The Buy/Sell Area of Our Members Area. New ads go up everyday and this is really still the slow time. 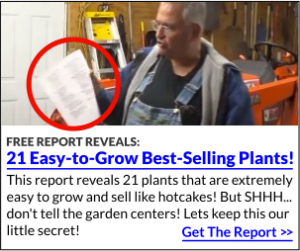 Come spring, which is right around the corner, the buy/sell area is on fire with new plant ads. Our membership drive ends in a day or two, don’t miss out. Mike, would the lavender twist weeping redbud tree grow in California’s Central Valley? Hey Mike I bought your system 4 or 5 years ago. I live in East Tennessee and I’m moving to Wichita Kansas I planted a redbud in memory of my mom arborist told me I could not move it. So I’m trying to figure out a way to propagate asap. For some reason I have absolutely no seeds this year. I didn’t know if there was a way to accomplish this and September all even dig up a root or if that will work but I’m not sure. Your best bet would be a softwood cutting, probably too late for that now. ???? Hello Mike, I was wondering about how wide this tree can get? I’m down in Central Florida, would anyone know where I could buy? Call around locally or look online. They are not easy to find. These that sold wholesale for $25 were an absolute steal. Do you happen to have any more Lavender Twists available? If not, do you know who may? Thank you! No. I thought I had about 30 coming and my supplier ran out. Maybe a retail garden center. 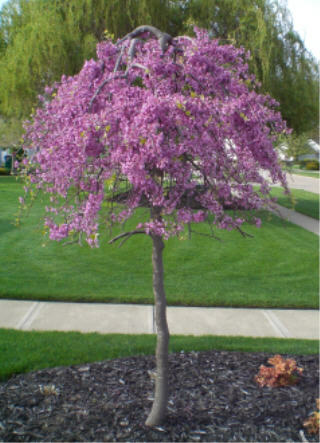 Where are you located and where is the person selling the weeping redbud located. I live in SE Ohio. Definitely would be worth the trip. Love your newsletters and videos. Give Finnigan and Fergus a neck scratch and Happy St. Patrick’s Day! I’m in Perry, Ohio the grower that had the lavender twist was down around Atlanta. I am in Atlanta could you tell me which grower had or has the tree. I would love one. 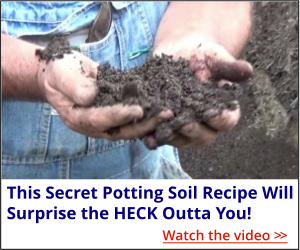 Hi Mike, great website, new to gardening on the Gulf Coast of TX. Moved from England so will be a regular to your site. With regards to all the great maple trees that are for sale on the site, If I am not mistaken they will not thrive very well in the Galveston area due to the overly hot summers we have down here…is that correct?? I know some bulbs wont flourish well after the first flowering as I will then have to did them up and leave them in the freezer for about 3 months, Daffodil and Tulip are 2 that I know of. Is there a definitive list of plants and bulbs that will not do well on the Galvesto Gulf Coast on the website. If not can any of your well educated members please give me some ideas as what NOT to buy for my area. I think your observations are correct. A list? I don’t have one. We have a number of members in Texas but they might not see this. I’d spend some time visiting local garden centers to see exactly what they are offering for sale in your area. Wish I could be of more help. Hi Mike, don’t feel too disappointed, you are probably over 2000 miles away from me so you really cannot be expected to know everything, although it does help..lol. Inches or less. The sooner you cut them the faster they get full. Letting grow outside of the form at all is just wasted energy. Thank you Mike, this Winter has been a long one, looking forward to seeing some dirt!!!! I’m up in Michigan with 12 or more feet of snow. I moved from Minnesota but my love of gardening has lasting qualities. Your web site also has enduring quality. Thank you Linda, I appreciate that. Mike, I really enjoy all that you have on your site. Your inclusion of the animals in your life is very interesting, and shows the very human side of you. Thank you very much, I have learned a great deal from you, and look forward to every edition. Thanks Bill, I appreciate that.